The Development Bureau and the Construction Industry Council are co-organising the “Construction Safety Week 2017” to sustain the momentum to promote awareness and commitment to construction site safety at all levels of the sector. 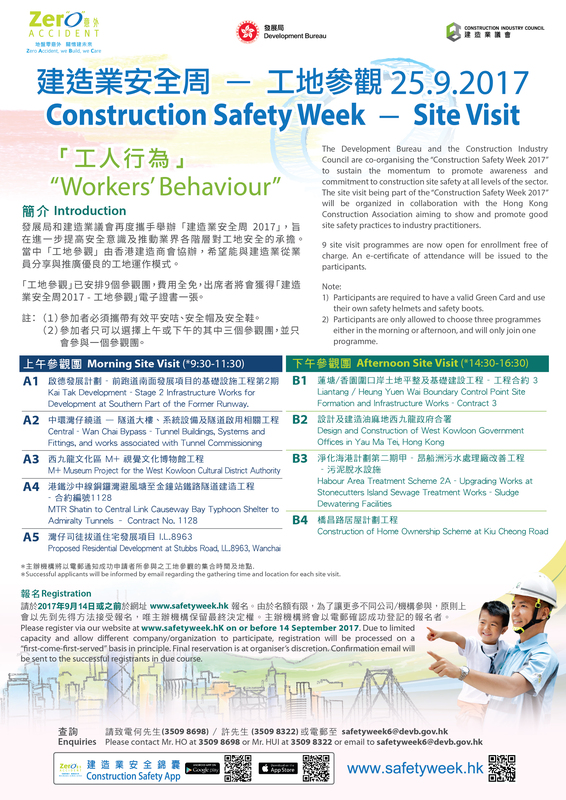 The site visit being part of the “Construction Safety Week 2017” will be organized in collaboration with the Hong Kong Construction Association aiming to show and promote good site safety practices to industry practitioners. Nine site visit programmes are now open for enrollment free of charge. An e-certificate of attendance will be issued to the participants.